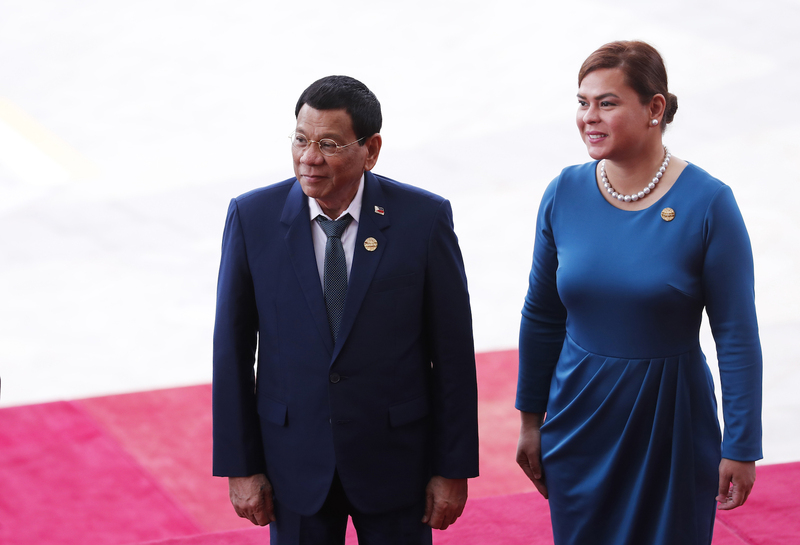 President Rodrigo Duterte on Friday succumbs yet to another possibility of yielding power prematurely and insinuated that Davao City Mayor ‘Inday’ Sara Duterte – Carpio, whom he best described as “alpha” of his family could fulfill his unmet promises should he relinquish as the country’s Chief Executive. In his speech before the Filipino Community in Amman, Jordan with over 1,500 spectators, President Duterte tells the crowd in a mix of English and Filipino. “I won here, 73 percent of you voted for me. So, I will remember that for all time. And if I fail to make good on my promises, I hope in little ways, Inday, she’s a mayor, she might be in the future.” President Duterte said. “You can come to her. Inday is good. She’s capable,” the President added. This, despite an earlier statement implying that ‘Inday’ Sara is unlikely to run for a national post in 2019 regardless of manifesting ‘good numbers’ in recent satisfaction surveys believing that she herself performs more effectively in the local position, instead. 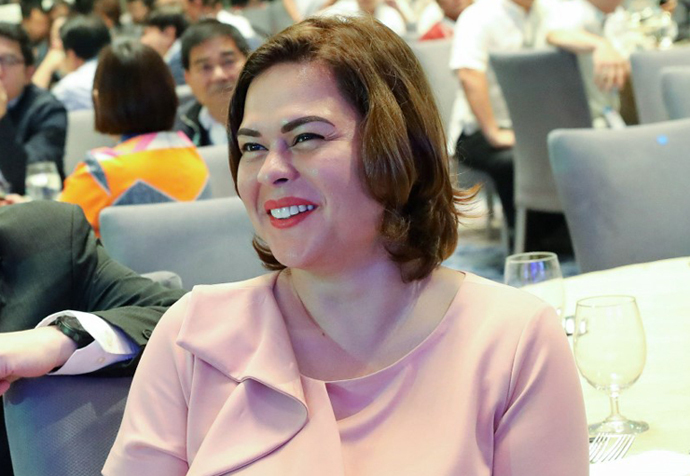 ‘Inday’ Sara admitted to having been overwhelmed by the survey results but has yet to announce her political plans for next year. 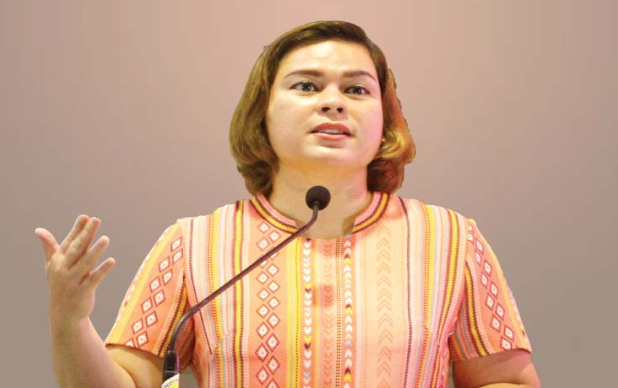 Recent nationwide survey conducted in June showed that about 46.2% of respondents are in favor of the 1st Daughter who is currently leading a Davao – based regional party called Hugpong ng Pagbabago, ranking third to fifth in a race for 12 senators including Sen. Grace Poe, Taguig City Rep. Pia Cayetano and Sen. Cynthia Villar. President Duterte wittingly downplayed Vice President Leni Robredo’s qualification should the latter supersede him as President in case of his untimely death, permanent disability, ouster or voluntary resignation. Meanwhile, the President decided to cut short his trip in Jordan and has returned home Saturday morning, landing in Davao City at around 11:00am, at least 12 hours ahead than the original schedule of arrival by Sunday morning. Presidential Spokesperson Harry Roque told reporters that despite changes on his return, the President managed not missing out any relevant events scheduled for his trip. The President wrapped up his itinerary in Israel by visiting the Open Doors Monument, one that commemorates the Philippines’ ‘open – door’ policy extended to the Jews escaping the Holocaust. Duterte is the first sitting President to go on an official visit to the Arab State, bringing home $82.9 Million worth of business deals expected to create at least 700 jobs. Both the Philippines and the Jordanian government closed deals on labor, foreign affairs and trade along with a pledge of 2 attack helicopters and other relevant military equipment to be donated in the Philippines. pinoy: Yes hopefully she ran. Never been proud when he became the president. Ang daming drug lord na nadurug. Umaalingangaw na lng sa social media using their fake accounts. God continue to bless my country Philippines. sherlyn: As the Presidential Daughter, Sara is the next in line to the Presidency! That's the succession rule! That's the democratic way! By doing this, we preserve continuity and stability! These two are very important! BoyBukol: Sarah has the potential and credential. San Beda law graduate as we all know San Beda is noted for famous alumni like his Dad, the President, DOJ Sec. Aguirre, Transport Secretary at marami pang iba. She is a lawyer too like her Dad, Mayor of Davao and now the Chief Convenor of Hugpong. Young, energetic, principled and full of good ideas. As they say, why not?